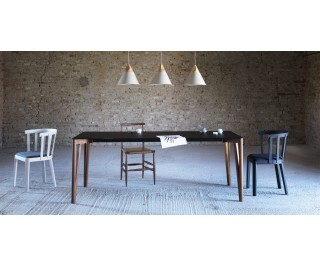 Decapo is an extendable or fixed dining table, elegant, with a minimalist and a little Eastern style. It is characterized by the outline of the legs, of a pleasant and narrow ‘V’ shape. Also available with the new top in Fenix.